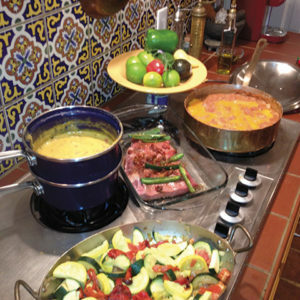 The kitchen is often the centerpiece of a home, where family and guests gather to cook, share a meal, have lively discussions and enjoy a glass of wine. But what if the kitchen is aging, feels cramped or just needs a brighter arrangement or configuration? That’s where architects Lisa Landworth and Philip DeBolske come in. The duo’s firm has been based in the Fairfax District and Miracle Mile for 30 years, and they are intimately familiar with the community and Southern California architecture. 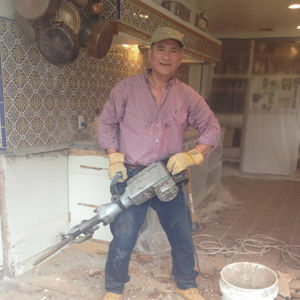 They don’t just remodel kitchens, they reimagine them – doing everything from updating or enlarging a space, to creating a professional chef’s kitchen where elaborate dinners can be prepared. 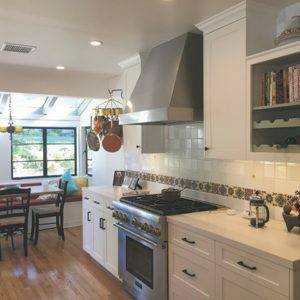 Many homeowners want dramatic kitchen reconfigurations where the walls, ceiling and floor are taken down to the wooden studs, as with the kitchen featured here, which allowed Landworth and DeBolske to start with a clean palette. Last renovated in the mid-1970s, the style of the time included heavy beams and soffits, bold and sometimes dizzying tile patterns and impossible-to-keep-clean tile surfaces. With this project, no square footage was added. 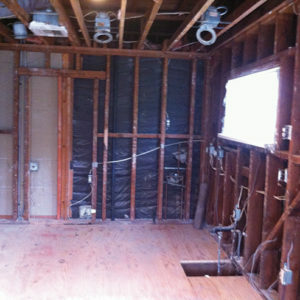 However, bulky soffits and unnecessary cabinet returns were eliminated, giving the feel of additional space. 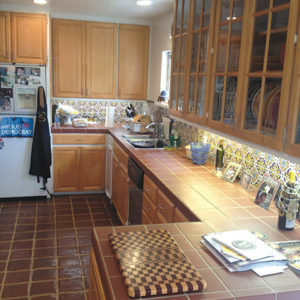 The kitchen after the project was completed. 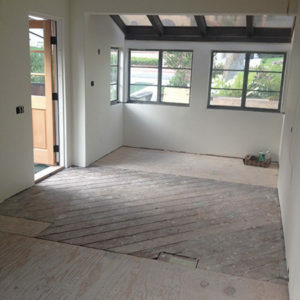 Saltillo tile was removed and replaced with hardwood flooring. 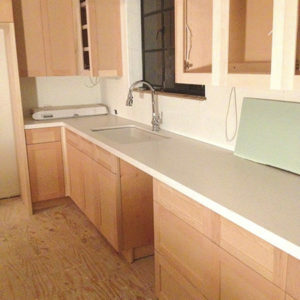 Custom cabinetry was reconfigured for efficiency and a pantry was added. 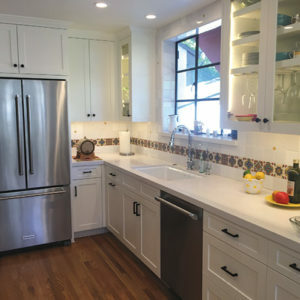 Caesarstone counters and state-of-the-art appliances were installed. Upgrades included LED lighting overhead, under-counter and inside the cabinetry. 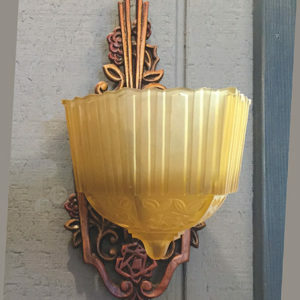 The Spanish style home, built in 1929, has original art deco motifs and lighting throughout. The clients were able to locate antique lighting matching the original chandeliers and wall sconces used in the newly-added breakfast nook. 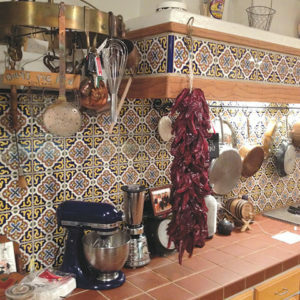 Custom tile opened up the space with light field tile accented with bold deco tiles, which Landworth calls a kitchen’s “jewelry” because of the pleasing aesthetic it creates. 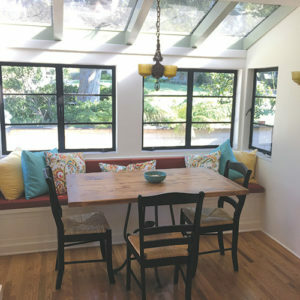 A custom steel window over the sink doubled the size and natural light of the original. 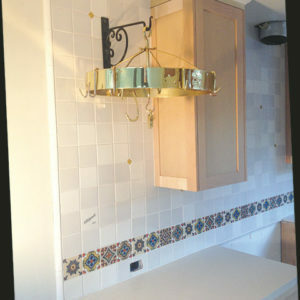 Finishing touches included an old brass and copper pot rack that was restored to its original glory. 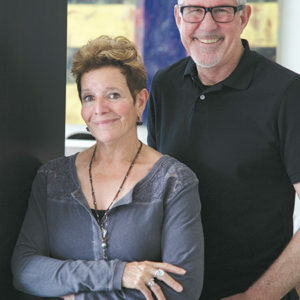 Landworth and DeBolske met at the USC School of Architecture and in the late 1980s, they opened a small architectural firm on Fairfax Avenue. They specialized in residential remodel and design, which is still a hallmark of the firm, as well as commercial projects. Being part of the community and involved in its future has always been important, they said. DeBolske, who has lived in Park La Brea for 25 years, is chair of the Carthay Circle Historic Preservation Overlay Zone (HPOZ) committee, which monitors projects to ensure they meet architectural standards. DeBolske and Landworth were also on the initial board for the Miracle Mile North HPOZ. Both said keeping a neighborhood historically and architecturally intact is important. It is a principle that guides their approach to design and remodeling. DeBolske and Landworth said a change in the house can be good for homeowners from all walks of life, whether it’s a young couple with their first home, a growing family that needs more room or a couple seeking something modern and new. And the most important aspect is helping a client create something new that will better suit their needs. Knowing clients are happy with the finished project is very rewarding, they said. “We are always thinking about how a house functions,” Landworth said. “We have been doing this for 30 years and it’s still fun,” DeBolske added.